Osteoarthritis is also called as degenerative arthritis. Bones are not static organs. They regularly replace old and worn out tissues with fresh and new ones. Due to many reasons body slows down on production of bone tissues which can cause weakness in bones and make them thin. This brings joint stiffness due to instability and raise OA. Repetitive use, injuries, regular injuries, fractures, trauma etc. also make joint misaligned and damage cartilages to cause OA. Certain health conditions which affect bone health directly or cause thinning of bones by slowing down rate of tissue generation are also potent causes of OA in all age-groups. 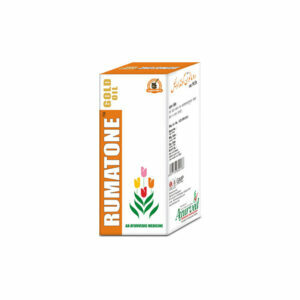 Rumatone oil is herbal osteoarthritis relief oil designed for relieving symptoms of OA and improving joint health. Application of Rumatone herbal oil for osteoarthritis relief curbs pain instantly, it also diffuses swelling and allow person to move the joint. Regular use of this oil maintains healthy blood flow. Blood keeps nutritional supply higher and maintains tissues strong. Herbal osteoarthritis relief oil allows immune system to reach joint through proper blood flow and prevents infections in synovial fluid which causes damage to cartilages. 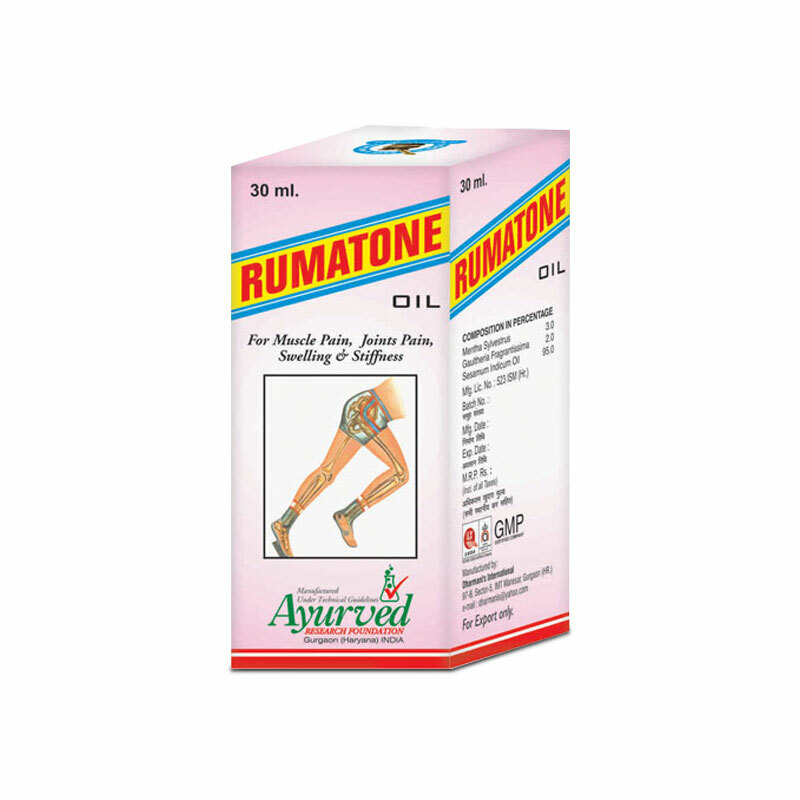 The best part of Rumatone oil is that it helps body in repairing damaged cartilages. The cartilages get damaged due to misalignment of joint and weak bones. 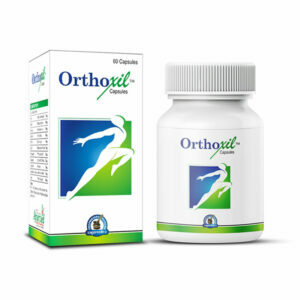 By gaining healthy cartilages joints move smoothly without any pain and stiffness. Rumatone oil increases range of joint motion and also joint’s weight and pressure bearing capacities. It also works as protective remedy for individuals prone to suffer with OA. People leading strenuous lifestyle, obese or suffering with health conditions can also use this oil to keep joints strong and high on endurance. It works for relieving pain and discomfort caused by sciatica, cervical muscular sprain, herniated discs, spondylosis etc. too efficiently. Relieves pain and inflammation in the joints due to osteoarthritis. Treats stiffness and allows joint to move. Improves joint strength and rebuild cartilages to provide painless movement. Relieves pain due to injuries, trauma, overuse, repetitive use etc. Works for people of all ages. Effective preventive remedy to stay agile and active. Take 10 to 15 drops of Rumatone oil and apply evenly over affected joint, rub with gentle pressure for few minutes till oil gets absorbed in the skin. Repeat twice in a day once in the morning and later in the evening. Maintain active lifestyle, avoid long sitting hours and eat nutritious diet for faster and better results. I am an osteoarthritis patient. I am using Rumatone oil since 4 months and feel very relieved after applying this oil. I live a natural lifestyle. I am a Vegan and stay away from medications whenever possible. I love that this Rumatone Oil is all natural and it works like a charm to relieve bruising and joint inflammation. Rumatone oil definitely helps with the muscle aches and pains. I will reorder this product!! Now that I’ve been on it a few months, I seem to be noticing less inflammation and pain from my osteoarthritis.